7oz Berber’s Farmhouse - Sweet Red Grass Fed Cheddar (or any other Grass-fed Cheddar), sliced into ¼ inch pieces. Heat the olive oil in a saute pan over medium heat. Add the sliced mushrooms with Yes, Chef! Blends Smokin’ Hot Tex-Mex, salt and cook until soft. Transfer to a bowl. 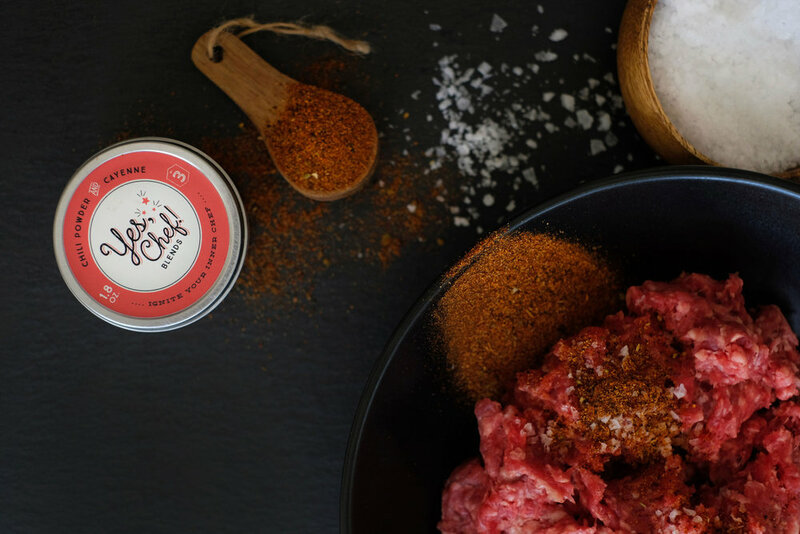 Mix the ground beef with the Yes, Chef! Blends Smokin’ Hot Tex-Mex and salt. Divide the ground meat into 6 equal portions (about 8 ounces each). If you would prefer a 6oz portions then divide the ground meat mixture into 8 patties. Form portions into burger patties. Heat grill to high, roughly 450F. I used a grill pan but if you would like to place your patties directly on the grill, please feel free to do so. Cook approximately 6-8 minutes each side depending on your desired doneness. 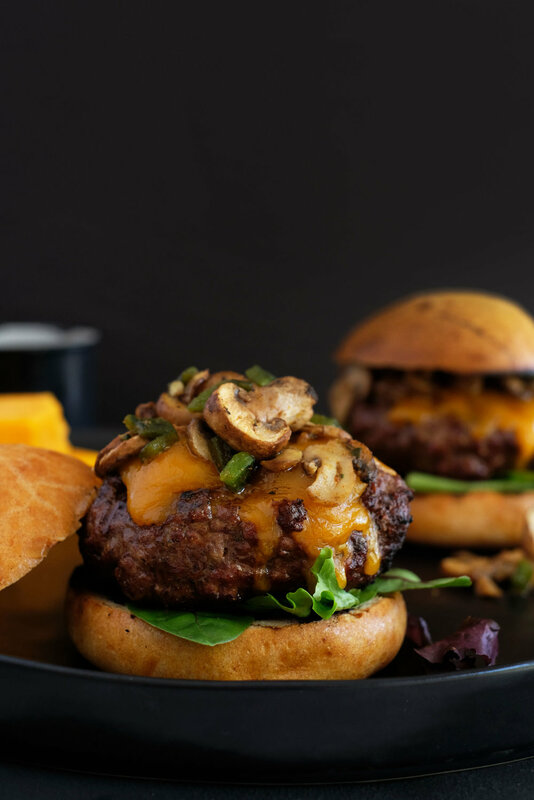 After 10 minutes of cooking (when the burgers are almost done cooking) place the sliced cheddar cheese on the burgers and allow to melt. 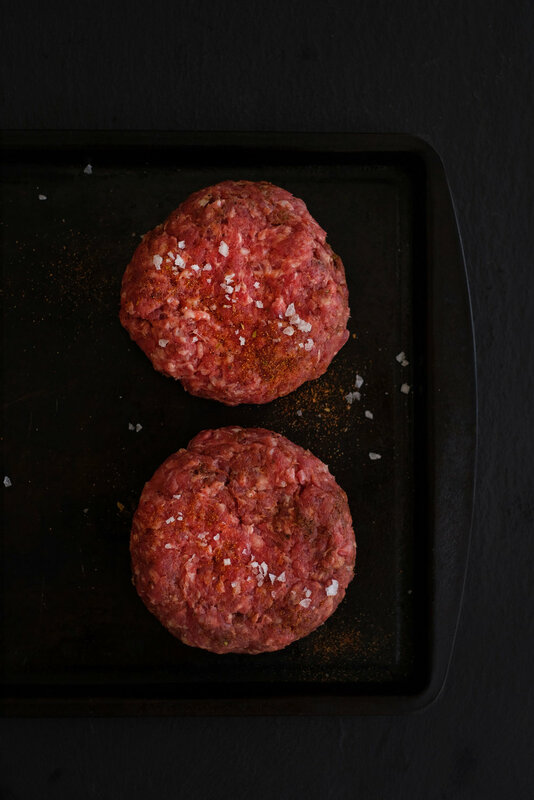 Toast the buns on the grill then get ready to assemble the burgers. 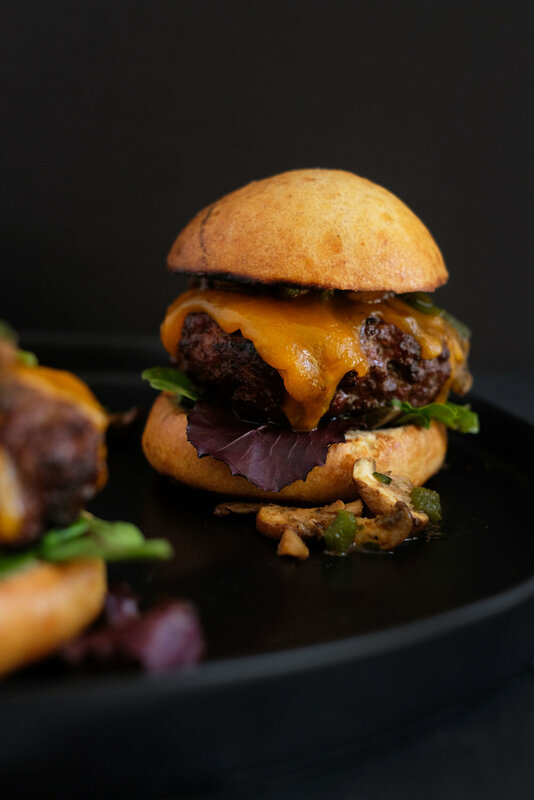 Place the mixed greens on the bottom bun, then place the cheeseburger atop the greens, then top each cheeseburger with a few tablespoons of the mushroom poblano mix and cover with a top bun. Serve immediately. If you would like to serve this burger protein style simply sub the bun for butter lettuce.